The composite membranes of PVDF/TiO2 were prepared by a phase-inversion technique. Different amounts of TiO2 with respect to the weight of the polymer were incorporated in the casting solution to study qualitatively and quantitatively the antifouling property of the membrane. The membrane morphology was studied using a high-resolution scanning electron microscopy and atomic force microscopy, whereas the crystalline nature was studied using X-ray diffraction method. The interfacial interactions between foulants and TiO2 immobilized membranes were also evaluated using the extended Derjaguin–Landau–Verwey–Overbeek (XDLVO) approach. The XDLVO theory revealed an increase in repulsive interactive energy barrier with an increase in TiO2 loading, thus causing to improve the antifouling property of the membrane. Intercalation of TiO2 nanoparticles efficiently improved the porosity and wettability of the polymeric membranes, which could be confirmed by the contact angle analyzer analysis. The modified PVDF membranes exhibited excellent antimicrobial properties against Gram-negative Escherichia coli as confirmed from the halo zone and activity test. 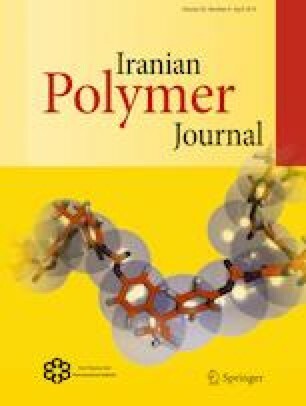 The permeation experimental results also showed high protein rejection of bovine serum albumin and humic acid (foulant) for membranes with optimum TiO2 loading of 0.01 g/g of PVDF polymer. However, at a concentration of 0.02 g TiO2/g of PVDF a negative effect on the membrane property was observed due to the former non-uniform distribution. The authors acknowledge Central Instrument Facility, IIT (BHU) for characterization facility.